By Christian Takushi MA UZH, 8 May 2018 – Switzerland (public release delayed by 10 days: 18 May 2018). The United States has pulled out of the Iran Deal. This is a preliminary assessment. 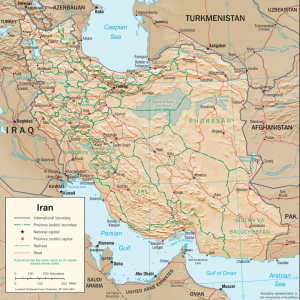 Despite the resolute attempts by the USA to contain Iran, these efforts (we ascertain) will fail. In a way they are too little too late. The effects of the highly elaborated support by the European Union and the Obama Administration cannot be made undone. It would need a willingness to face a large scale war with massive casualties, which not even a Trump Administration can afford politically. The rise of Iran and Turkey in the Middle East is inexorable – Both will exercise more and more influence over Europe: economically, socially and religiously. Possibly militarily. Two great civilisations are back and their advance is only a matter of time. Aware of the tremendous vulnerabilities and appeasement tendencies of Europe, they smartly combine aggressive expansion with smart diplomacy. Conservative commentators and analysts have long underestimated President Obama – they thought he achieved nothing to very little except for Obama Care. All the while President Obama was reshaping the Middle East with a formidable plan and foresight. As we ascertained, his real strategic goal was not American domestic politics – much can be reversed in America. Not so in the Middle East. We have been expecting that the Trump Administration would try to reach a short term fix in North Korea in order to move aggressively on Iran. This, also in an effort to rally the conservative base in the rural counties and especially the suburbs. The fact that the White House announced the end to the US-Iran Deal as Secretary of State Pompeo was about to touch down in Pyong Yang to seal a Trump-Kim Summit, shows the Trump Administration is serious about preserving the Republican majority in Congress. The timing couldn’t have been more aimed at the domestic audience: Today, May 8th, the US Mid Term Elections 2018 got formally underway. Four states run primary elections: Ohio, North Carolina, West Virginia and Indiana. Trump’s staff believes that the biggest threat to America and her allies is not North Korea, but Iran. Many of Trump’s advisers still believe NATO allies would defend the USA and US interests in case of war. But the doubters are growing in numbers. The European Union and Russia are among the economies most exposed to risks emanating from the US move. The EU has not only been embracing and supporting Iran, it has also eyed it as a strategic partner and backup source of energy. Still, Russia may be able to benefit strategically from Europe’s defiance of the USA. Behind the smoke of sanctions, Germany has been building close relations with Russia. Ironically, European NATO members are embracing US arch rivals. The timing of the overlapping events could allow the USD to get stronger, in particular against the EURO. It may also put a cap on the potential rise of US Bond Yields. We also ascertain that the USD and the YEN might be quietly in the process of partially replacing the Swiss Franc as Safe Haven currency. That is if the current de-escalation in North East Asia is lasting. The bigger the risk of a War or Clash of systemic proportions, the larger the dominance of the USD as ultimate Safe Haven Currency. Although the CHF should maintain its role, Switzerland is geopolitically increasingly a de facto “hostage” of its Bilateral Agreements with the EU. Thus, as Swiss independence and neutrality fade away over time, markets may increasingly treat the Alpine nation as a quasi EU member state. 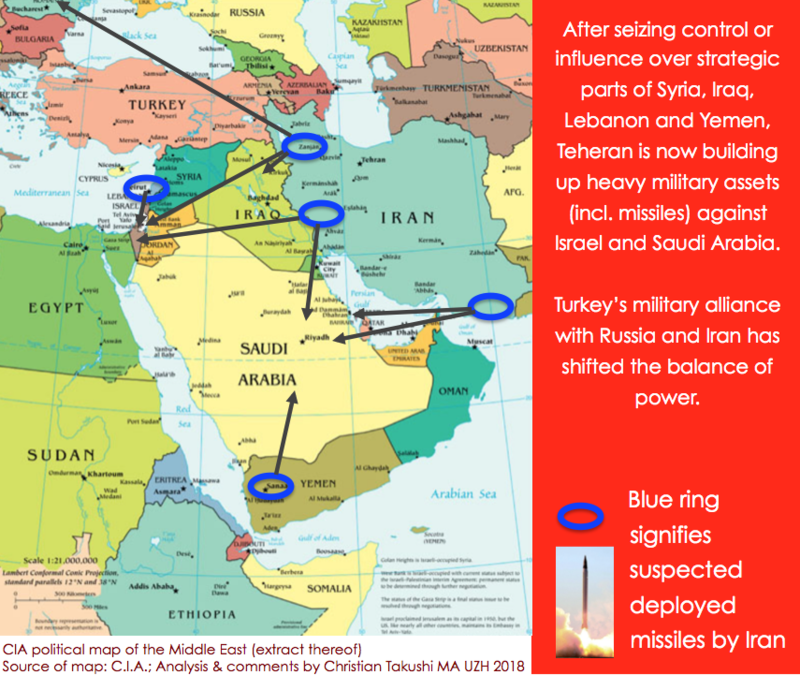 We see the overlap of geopolitical tensions in the Middle East with a potential for military action as bad news for Europe. Part of her inexorable Security Deterioration of the old continent. Furthermore, we continue to expect a major war in the Middle East and also a Peace Treaty between Israel and Arab states. These are scenarios with robust and growing likelihoods. We will be closely monitoring these developments and reporting to you as soon as our analysis deviates from consensus. Access will be restricted soon. Our newsletter can be subscribed to on our website.